Much better quality than expected. I got this for my daughter's 13th birthday and she loves it! Q:what other colors do they make? There are 4 colors of the item on our website as it shows on our website. 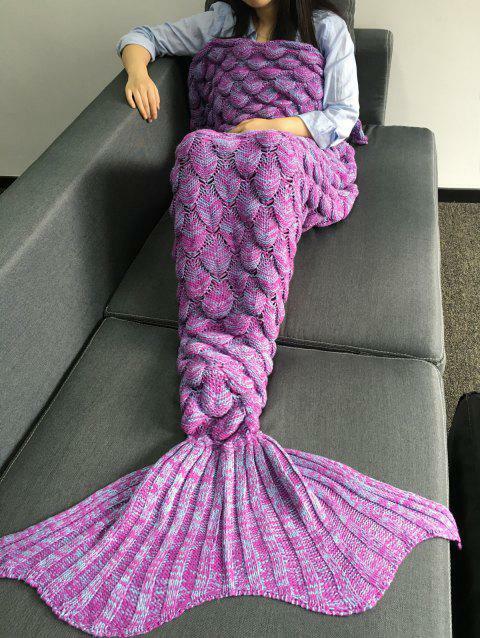 Q:Is the M size mermaid blanket 34" wide or 34" around? Its length is about 180CM and its width is about 90CM. Q:Does it have a hole at the bottom or is it like a pocket? It has a hole at the bottom. Q:How many inches is this blanket? Will it fit someone who is five foot six? Q:what are the washing instructions? The item need to be hand wash in warm water.